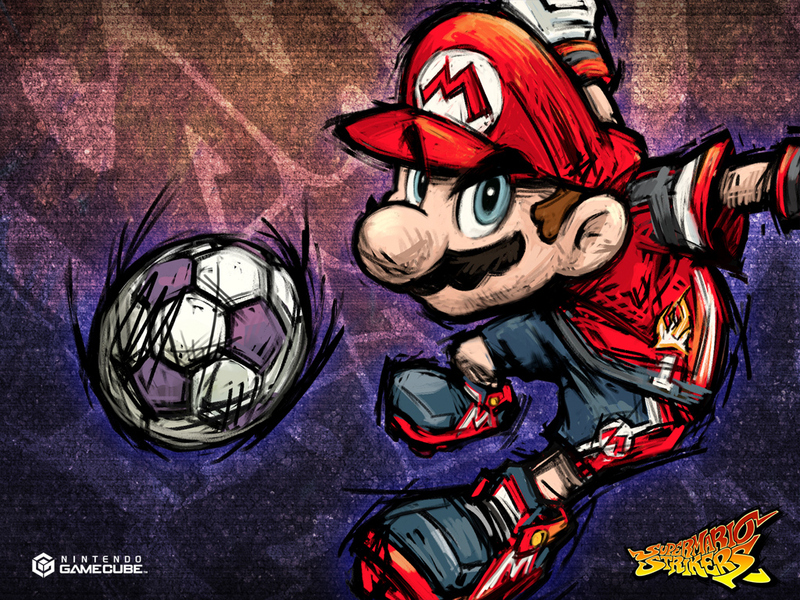 Super Mario Strikers. . HD Wallpaper and background images in the Super Mario club tagged: nintendo mario super mario brothers super mario bros wallpaper super mario strikers mario strikers mario soccer. This Super Mario wallpaper might contain fußball, anime, comic, manga, cartoon, comic buch, karikatur, and comics.